While reading the Greek historian Herodotus (484-425 BCE) yesterday (ah! the joys of retirement!) I came across a curious tale in Book IX of his Histories. 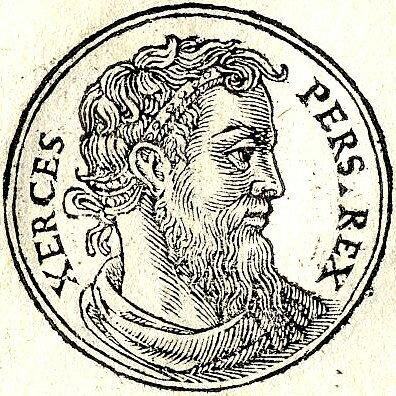 It concerns King Xerxes (518-465 BCE) of Persia. He was married to Amestris, but he fell in love with the wife of his brother, Masistes, and in order to get closer to her, contrived to have his son Darius marry her daughter Artaynta. (Got that?) But, fickle soul that he was, Xerxes soon transferred his affections from mother to daughter. And for some strange reason, the young girl fell for him. His wife Amestris had made a beautiful robe for Xerxes and he wore it one day while visiting his niece/lover, Artaynta. She happened to ‘please him greatly’ on this occasion (I wonder how? ), and so he said that she could ask him for anything at all and he would give it to her. She wanted the robe, but Xerxes, scared of what his wife - who already suspected that he was up to something - might say, offered the girl ‘cities, heaps of gold, and an army (! )’ in its stead. But she was adamant. Only the robe would do. So Xerxes, bound by his promise, reluctantly gave it to her. Amestris had her mutilated: ‘her two breasts, her nose, ears, and lips were cut off and thrown to the dogs; her tongue was torn out by the roots, and thus disfigured she was sent back to her home. 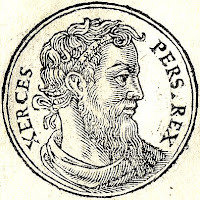 Her husband determined to have his revenge, but before he could ally himself with Xerxes’ enemies, the king had him and all his family slaughtered. Herod was in awe of John because he knew him to be an upright and holy man, and he kept him safe. He would listen to him gladly although he was puzzled by what he said. Jesus’ reputation was growing, and a report of his activities reached King Herod who thought that these amazing things were happening because John the Baptist had been raised from the dead. Others thought that it was Elijah or a prophet like one of the prophets of old. 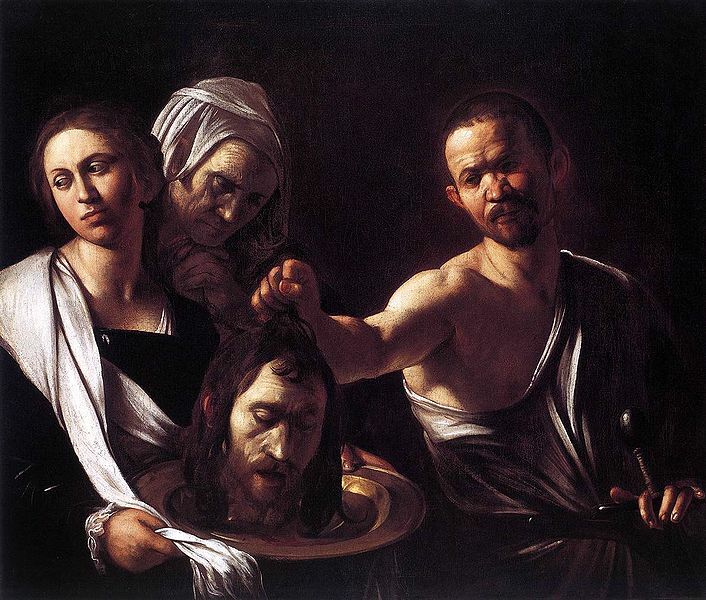 When Herod heard of it he said, ‘John, the one I beheaded, has been raised from the dead.’ This self-same Herod had sent for John, seized him, bound him, and imprisoned him, on account of Herodias, the wife of Herod’s brother Philip, whom Herod himself had married. John had told Herod that it wasn’t lawful for him to take his brother’s wife, and so Herodias held a grudge against him, and wanted to kill him, but she wasn’t able to. - King infatuated with his brother’s wife/married to his brother’s wife. - Brother’s wife’s daughter 'pleases the king greatly'. - King’s outrageous promises, oaths and offers. - Scheming, jealous, vindictive queen. - King’s reluctance to comply with the requests made to him. There's also another if you count the fact that one is about Herod and the other is by Herodotus. What’s going on here? Some years ago, Dennis R. McDonald showed how parts of Mark’s text were influenced by Homer’s epics, and now it seems that Herodotus features too. My own book (The Gospel and the Zodiac, available for £6.99 from Amazon) demonstrates that Mark’s Gospel is structured on the signs of the zodiac. How long are people going to continue to maintain that the Gospels are history? That is a striking similarity indeed Mr. Darlison! The biblical myth of Esther has been also linked with Herodotus’ story about Xerxes and his brother’s wife. So what you say here is one of the many clues given to us that the Gospels should be not read as mere historical facts but mostly as allegories and esoteric teachings. And in my opinion, your book “The Gospel and the Zodiac” is of great value here. It is definitely not inspired fiction -as one might assume- but a true esoteric guide to Christianity’s authentic scripture. 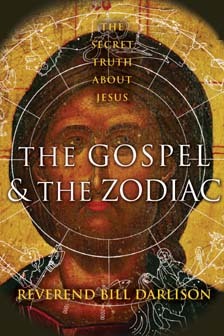 It is something much more important than another opinion around the four Gospels’ ambivalence...it is a true discovery of Mark’s secret astrological theme, a theme that was vaguely revealed –as you have already said- by Gnostic Christian Valentinus (and speaking more generally, astrological symbols and allegories are found everywhere in the Gospels and the Apocalypse). The author you referred to, Dennis McDonald, seems to have made another amazing discovery by showing strong evidence that the author of Mark’s Gospel imitated the structure and story plot of Homer's Epics. One of the most emphatic analogies and paraphrases observed by him is the strikingly similar endings of Homer’s Iliad and Mark’s Gospel. King Priam is encouraged by goddess Iris (“Zeus’ angel”, according to Homer) to go to the Achaeans’ ship and ask Achilles for the body of Hector. Halfway there, god Hermes (another “angel of Zeus”) appears to an amazed Priam in the shape of a young man. Hermes helps him to enter the Achaean’s camp in secret, by making the guards asleep. Pleading with mercy, Priam persuades Achilles to give him Hector’s body. Priam returns to Troy. Three women (Ekavi, Andromachi and Helen) mourn the dead hero, followed by the burn and burial of his body. Joseph of Arimathea, a respected council member, takes courage and goes to Pilate asking for the body of Jesus. After making sure he is already dead Pilatus grants the corpse to Joseph. Then Joseph wraps Jesus’ body in linen, lays him in a tomb and rolls a large stone up against its entrance. When the Sabbath had passed three women (Mary the Magdalene, Mary the mother of James, and Salome), bought spices so that they might go and anoint him. They come upon the tomb but when they look up they realize that the stone has been rolled away! And entering into the tomb, they saw a young man (a God’s angel) sitting on the right side, dressed in a white robe. And they were greatly alarmed. But he says to them, "Do not be alarmed. You are seeking Jesus [the Nazarene],who was crucified. He is risen! Here is another similarity found by McDonald that cannot actually be pure coincidence. Odysseus and Jesus seem to have experienced the same -more or less- adventure. The difference is, according to the writer, that the author of Mark deliberately portrays Jesus as much more powerful and divine than Odysseus and the rest of the old heroes. Odysseus struggles against the forces of nature, while Jesus is something more than a hero, he is a true god, therefore he has nothing to fear! 9. Aeolus was master of the winds.